Although they might not be too necessary for early settlers, trees would be of much use for a mature colony. They can produce food, oxygen, shade, rubber, ornamentation, and lumber, and will be essential in the terraformation process. Many if not most trees common on Earth prefer acidic soil, which is problematic given that the Martian soil is moderately alkaline (https://pubs.acs.org/cen/news/86/i26/8626news4.html) with a pH of 8-9. This can be solved by using fertilizer, but there are trees that grow well in an alkaline environment. According to http://www.hrt.msu.edu/uploads/535/7862 … oilred.pdf, these include elms, lindens, the rubber tree, and the Miyabei maple. The main issue with growing trees as opposed to most plants such as crops and grass is that they are rather large in size. The California redwood can grow up to more than 350 ft (100 m) tall, and even the modestly-sized Miyabei maple ranges from 25-40 feet (8-12 m) in height. This would mean that an orchard greenhouse would generally be around 50 feet (15 m) high for mature trees, creating the need for more material. In addition the roots mean that trees would need more space from one another within the greenhouse/commune. For more ornamental purposes, the linden can grow in harsh alkaline environments and thus probably wouldn't need any more support than simple temperature control probably already present at the settlement. Elms are also a classic ornamental choice though they take up to 10 earth years to reach maturity. A couple points. I have posted about trees in other discussion threads, but it's good to make it separate. First a greenhouse. There are dwarf varieties of citrus trees. My sister and her first husband had a dwarf orange they grew in a large pot in their living room. It grew to the ceiling, filling the living room window. Oranges were small, about 2" diameter. But there are better varieties now. Most importantly, you can graft. A branch from any citrus tree can be grafted onto any other citrus tree. That means you can grow a dwarf orange tree that will fit in a greenhouse, with several branches that grows full-size oranges, and one branch that grows lemons. You can graft a branch from any apple tree onto any other apple tree. In my city crabapple trees are common, because they survive the climate. But you can graft a branch of Red Delicious, Macintosh, Granny Smith, etc. You could grow one dwarf tree that fits in a greenhouse that produces multiple varieties of apple. And you can graft a branch from any stone fruit tree to any other stone fruit tree. When I lived in Toronto, where the climate is warmer, the yard had several fruit trees. One was grafted: half golden plumbs, half red plumbs. And there's one magical exception: there's a variety of apple called "Winter Banana". I'm not sure about the apple's themselves, but you can graft an "interstem" of this. That means graft a short twig of this, say 4" long, then you can graft a branch from a pear tree to it. That allows an apple tree to produce Macintosh on one branch, Red Delicious on another, Granny Smith on another, and Bartlett pears on another, and another variety of pear on yet another. All from one tree. Economical for a small settlement: eg 12 person. Second: terraforming. Assuming first that Mars is warmed sufficiently to sublimate all dry ice. One estimate in a published paper cited in the textbook "Terraforming" states that Mars should have a surface pressure of 30 kPa once all dry ice is sublimated. Once it's above 10 kPa, plants can grow. At 17 kPa, healthy strong humans in their prime, after 6 weeks to 3 months of high altitude training, could go outside without a pressure suit. At 30 kPa, anyone could go outside, although you would still need an oxygen mask. Once there's enough air for plants, and water ice melts to produce rain, then we can grow trees. I suggested deliberately grown peat bogs. That's a symbiosis of sphagnum moss with a certain variety of cyanobacteria. The cyanobacteria fixes nitrogen and does not need oxygen. Moss produces oxygen, but requires a certain minimum concentration of oxygen to grow. Sphagnum moss produce acid that dissolved rock, releases potassium and phosphate and other nutrients that plants need. My idea was to grind rocks to rock flour to a depth of 2 metres, then use slow water pumps to circulate water acidic water through the rock flour to break it down. Build a slow sand filter in a hole cut on the rock beneath the rock flour for the inlet to that water pump; just so the rock flour doesn't clog the pump. Have a solar panel with battery on a stick above each pump to provide power. The acid will break down rock flour to clay. The final result will be a mixture of loess (rock flour) with clay and peat. That makes excellent soil. I built an aquarium experiment to test it. The acid released so much lime from rock that it pushed water pH to strongly alkaline. That killed the sphagnum moss. So the pump will need a "lime" water filter to remove lime from the water. Ironically, lime (calcium oxide) can remove calcium carbonate. And you can make lime by baking calcium carbonate. The whole process can be contained within the pump mechanism, so it removes alkali from water. Once the peat bog has produced sufficiently rich soil, plant black spruce trees. They grow right in a peat bog. The pH can't be too acidic. The lime removal device can be configured to produce extremely strong acid to convert rock flour into clay quickly. Again, sphagnum moss produces acid, simply removing alkali would allow the living peat to produce extremely strong acid. But once done, that acid strength can be reduced by putting some of the lime back in the soil. Black spruce are a significant species in boreal forest in Canada, produces excellent pulp for paper. Once soil acidity has been reduced to allow black spruce, then you can also grow berries: blueberry, raspberry, wild strawberry, saskatoon berry (aka Juneberry), cranberry, huckleberry, sarsaparilla (for root beer), lingonberry (aka cowberry, partridgeberry, mountain cranberry or foxberry), and cloudberry. Cloudberry is known as Lakka within Scandinavian countries; it's highly prized. I'm not looking ahead hundreds of years, but towards a small initial colony/research station. I like the idea of trees in the greenhouses, since they utilize space vertically. I also like the concept of bush fruits, such as blackberries, raspberries, currants, and gooseberries. If we utilize Robert's hillside greenhouse concept, we could use the European method of making the trees espaliered, or into a flattened version of the trees; this would allow the trees to vertically occupy the back wall, w/o shading the growing bush and root crops. Using the dwarf varieties makes sense, and having a lot of them (redundancy) is essential. I'm currently in Italy, and have been studying how the fruit crops are grown for maximum yield per acre. Every square meter of surface needs to produce something. Many other vine crops can also be grown on trellises instead of letting the plants roam everywhere. Cucumbers, vine squashes, and melons can be raised this way, as well as peas and beans. But--returning to trees; we can also conceive of nut crops which are high in both protein and oils, as well as carbohydrates. I would consider apples as the first attempt, since I've seen an awful lot of espaliered apple trees in Italy. This not only is space efficient, but reduces the harvest labor. As a side issue, we'll need bees! And bees also produce honey, another fine treat for the growing colony. Thus, it makes perfect sense to build a terraced hillside greenhouse complex. About 20 years ago, I dabbled in what is known as "intensive gardening," the concept which will be needed on Mars. 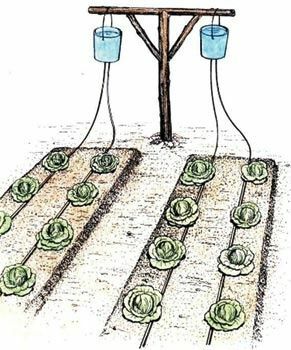 It works, by growing mutually supportive and compatible crops in the minimum surface space. All things are plausible with time and growth of what we build on mars and a linked priority of size, climate control for each fruit type is within a controled limit of what we send versus what we can build from insitu. Yes we will be able to grow these in a greenhouse structure but we will have an issue with root growth as we are looking at raised beds within the early natural light chamber only having at best 2 feet of regolith. Plus fruit trees are not a hydroponic grown item.. I'll be quick to point out that these experiments could be conducted in the Mars Desert Research Station. Berry bushes would seem to be early candidates for such experiments, in addition to dwarf fruit trees. I always thought that, for mostly this reason, trees would be grown in situ, directly into the indigenous regolith like on Earth. Though if we do that we would have to filter out the perchlorates, which might be costly depending on how deep the roots go, and depending on pH add fertilizer. 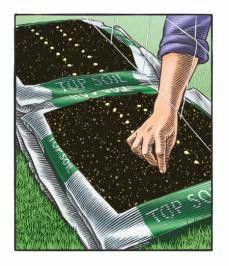 Create tray in sealed area of regolith that has hole in the bottom mesh to allow the flow of liquid water to drain though it with the coresponding chemical agent to remove as much as possible and repeat, recycle liquids used dump soil into stage 2 of any further process as required after testing. Repeat with new batch of regolith as needed until all beds are filled and ready for planting of crops. Also do not just simply dispose of the percolate as these chemicals we can use later for other insitu made products. Perchlorates = source of Chlorine, needed later in the nascent chemical industry. Is there any data regarding the regolith composition below the surface samples showing high perchlorate concentrations? This class of compounds can be removed by the leaching process, and the water so used could be incorporated in the chemical process industry we will need on Mars. We'll need the chlorine for several subsequent products, such as phosgene needed for manufacture of polycarbonate plastics. I have also been designing a reaction pathway utilizing ISRU to manufacture UDMH for use as fuel other than CH4. In that pathway, chlorine is necessary for incorporation into Chloramine; Chloramine + Dimethylamine ----------> UDMH. Yes exactly as you do not lose the energy that has put into the other process and you get the benefit of recycling for the next step. 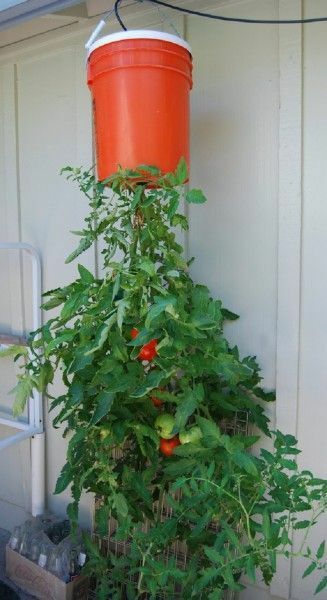 I was thinking about the root issue and remembered the tomato plants hanging upside down in a 5 gallon pale. This makes use of the verticle hieght of any greenhouse structure. Rubber is a ubiquitous material here on Earth, and it would be beneficial for a colony to not have to import it. According to http://www.agrifarming.in/rubber-plantation/, rubber trees beginning yielding latex 6-7 years after being planted, though this could be mitigated by bringing 6 year old plants to the colony and then replanting them where desired. Trees also require high humidity, though this shouldn't be that much an issue. A water table of at least 1m that is ideal for growth might be problematic, though a hanging garden scenario might be possible like what SpaceNut posted. For seedling trees the yield is around 375-400 kg/hectare (~330-360 lb/acre), and from budded plants 800-1000 kg/hectare (~710-900 lb/acre) is possible. As for vulcanization, which makes rubber suitable for most of its industrial uses, sulfur is needed to link the polymers and strengthen the material. According to http://www.rubbercal.com/industrial-rub … ze-rubber/, there are a couple of processes, but they both boil down to introducing sulfur and other components as need be to the rubber to strengthen it. Apparently traces of sulfur have been found in the Martian soil, so that gives some more hope for domestic rubber production. I think it would be more efficient to make synthetic rubber than to grow it, solar panels and industrial chemical processes have higher levels of energy efficiency than plants do. Styrene-butadiene synthetic rubber is the most common on Earth. Styrene can be made by pyrolysis of methane to get acetylene, then trimerization of acetylene to benzene, combination of benzene with ethylene to get ethylbenzene, then dehydrogenation of ethylbenzene to get styrene. Butadiene can be made from ethylene which is hydrogenated to get ethanol and then combined to yield butadiene. Another tree is the maple. One maple tree can produce 10-20 gallons (8.33-16.65 imperial gallons, 37.87-75.7 L) of sap, presumably per year. However, a whopping 40 gallons of sap is needed to make 1 gallon of syrup. If each colonist uses half a cup of the stuff a day, that's 182.625 cups an Earth year, or around 11.5 gallons of syrup (9.6 imperial gallons, 43.5 L), or 460 gallons of sap, or anywhere from 23 to 46 maple trees, for just one colonist. Especially given the size of the trees I think Martians will have to make do with sorghum on their pancakes. I agree w/r to butadiene production; it will also be useful in manufacture of ABS plastics. With adequate forethought, deeper, cylindrical depressions which could be subsequently filled with regolith would be adequate for tree roots, especially those of the dwarf varieties. There is really not a lot holding back the incorporation of dwarf espaliered apple trees and possibly hazelnut trees. There are also dwarf cherry trees and bush cherries that produce decent crops. Especially important, though, would be the citrus trees with the production of Vitamin C crops. Rather than grow maple trees for syrup, I've suggested imitation maple extract. My mother got a recipe for syrup from a bottle of imitation maple extract; I simplified the recipe. 2 cups golden yellow sugar (aka light brown), packed. That is, pack the sugar in the measuring cup to remove as much air as you can. Add ½ teaspoon imitation maple extract. Add 1 cup boiling water. The original recipe called for a small pot, bring to a boil on the stove, stir until all sugar is dissolved then cool. My simplification is to boil water in a kettle, when the kettle is whistling so the water is literally boiling hot, pour into a measuring cup. Then slowly pour the boiling water directly into the measuring cup with sugar. Pour as much as will fit, then stir. Remaining air will bubble out. When you created space in the measuring cup, pour some more. Keep doing this until all the the boiling water is in. The final result will be exactly 2 cups of maple flavour pancake syrup. Yup, 2 packed cups of sugar become 2 cups of syrup. I think it's amazing how you can pour water into the measuring cup yet total volume doesn't increase. One reason is release of air, the other reason is dissolved sugar takes less volume. So the syrup has greater density than ether sugar or water alone. I kept a 500ml (2 cup) plastic syrup bottle, keep refilling it. This will have no preservatives, so keep in the fridge. Yes, if sugar is sufficiently concentrated it should keep at room temperature, but I don't think this recipe is that concentrated. Doing the measuring cup technique leaves a couple tiny lumps of sugar at the bottom, but it's easier and I don't have to wash a pot. I found a recipe on the internet that uses 1 cup of dark brown sugar and 1 cup of white sugar, instead of 2 cups of golden sugar. I haven't tried it. I used the recipe my mother showed me, and she got it from the side of an extract bottle. You can make imitation maple extract from fenugreek seeds, vodka, and vanilla extract. You can make vanilla from real vanilla bean and more vodka. Fenugreek is an annual plant, vanilla is a vine. Both would take less space in a greenhouse. You still have to make sugar. Either by growing sugarcane, or some other route. Given the need for bees, maybe honey would be the best option for sweetener. It might mean we need some areas dedicated to flowers, but flower gardens should be good for morale? Almost everything we're talking about growing requires bees for propagation. Squash, berry bushes, fruit trees, nut trees, and yes...even flowers. Surprise, surprise — the nation's largest producer of apples is Washington State. In a typical year, 10 to 12 billion apples are harvested every year by hand, or put another way, about three out of five apples in the United States come from Washington. That's staggering — and without bees, the cross-pollination needed to produce apples just wouldn't happen on a scale large enough to produce today's crop. About 80 percent of the world's almond supply comes from California, which requires about half of the honeybee population in the United States for pollination each year. Valued at more than $3 billion, this crop is California's top agricultural export. This year's crop is the largest ever, at 1.9 billion pounds, most of which is destined for locales in Asia, Europe, and the Middle East. The almond crop is completely dependent on honeybees for pollination. Besides being loaded with antioxidants, they're also delicious on top of pancakes, in muffins, and of course, in pie. The loss of the blueberry crop wouldn't just be felt at the kitchen table, however — the National Agricultural Statistics Service values the nation's blueberry crop, most of which comes from Maine, at more than $593 million, 90 percent of which is pollinated by honeybees. Cucumbers are a popular option for cooling down in the hot summer months. Their cool, fresh flavor and crunchy bite make them a popular addition to salads, sandwiches, and cocktails. Without honeybees, though, the majority of the country's $193 million cucumber crop would be nonexistent. No onions? Well, you're pretty much screwed. Onions are the base for myriad classic sauces, soups, and stews when cooked, and when raw, are pretty much de facto in tacos, salsas, sandwiches, burgers, and salads. You'll still be shedding tears even when they're gone. Sweet-tart grapefruit, whether eaten with a spoon or cut into segments by the ambitious, is a breakfast staple for the health conscious. It's also delicious in salads and blended into smoothies and cocktails. Grapefruit is just one of many kinds of citrus almost entirely dependent on honeybees for pollination. It probably goes without saying that if you're going to bring up grapefruit, you have to bring up oranges. And the data actually do back this up; like grapefruit, oranges are 90 percent dependent on honeybees for production. That morning cup of orange juice would get a lot more expensive. Maybe we'll just import our way out of this one — except, colony collapse disorder is a worldwide problem. Halloween just wouldn't be the same without pumpkins, nor would Thanksgiving. This iconic American crop is heavily dependent on honeybees for production, and without them, there would be no pumpkin carving and no pumpkin pie. Pollinating without bees can be a very easy and simple thing to do. Pollen usually needs to be transferred from flower to flower and if we are not luck enough to have our bee friends do it, we have to pollinate our plants ourselves. It is not time consuming and pollinating your own plants can make you closer to your creations! You still have to make sugar. The US harvested 1,004,600 acres (406,547 ha) of sugar beets in 2008. In 2009, sugar beets accounted for 20% of the world's sugar production. Sugar beets grow exclusively in the temperate zone, in contrast to sugarcane, which grows exclusively in the tropical and subtropical zones. Climatic conditions, temperature, sunshine, rainfall and winds have an important bearing upon the success of sugar beet agriculture. A temperature ranging from 15 to 21 °C (59.0 to 69.8 °F) during the growing months is most favorable. In the absence of adequate irrigation, 460 mm (18.1 inches) of rainfall are necessary to raise an average crop. The problem with sugar beet, if I'm not mistaken, is that its molasses is unsuitable for human consumption unlike that of the sugarcane. Therefore, you can't make brown sugar (which is molasses mixed with table sugar) and thus the imitation maple syrup. Oh. Damn. I had previously argued to make white sugar using a device with in-vitro chloroplasts. The whole point of growing sugar beets was for molasses products: brown sugar, golden yellow sugar, etc. That defeats the point. You can make a thick molasses from sugar beets using the same process that is used to make beet sugar. Though beet sugar molasses is sweet, it isn't very palatable because of its strong, bitter taste, and you should use it sparingly. A quick word of support for sugar beets as a crop: the remaining pulp after extraction of the juice, in addition to the beet tops, represent a major contribution to the animal feeding industry. There is another related root crop--mangels--which are enormous and have one of the highest per-acre yields of any agricultural product. Hogs, in particular, would virtually kill for mangels. The mangel is a fast growing and super-large beet variety weighing pounds apiece. Beets themselves, are an easy-to-grow crop that provides tasty greens as well as the root. You'll need a practical and accident-tolerant greenhouse design to do any of these things. A fragile balloon ain't it. There are more meteors striking the surface of Mars than Earth, because of that near-vacuum of an atmosphere it has. That and wind-blown debris, not to mention bumbling humans, are all a threat to the integrity of balloon structures. Europe managed perfectly well with just honey as a sweetener until cultivation of sugar cane came into use. hence the grab for Carribean Islands by the European powers. Sugar beet was a Napoleonic development to counter the British blockade of continental ports. There is no reason I can think of why Mars missions would need sugar, but they do need pollinators and bees fill the bill quite well. Honey provides a powerful antiseptic capability as well as nutrition. Also there is the useful by product that is beeswax.